We've already heard a good bit about the DROID Turbo 2, the latest Motorola phone customized for Verizon's US exclusive line. We've even been given a peek at the device, which seems to be very similar to the latest iterations of the Moto X series. 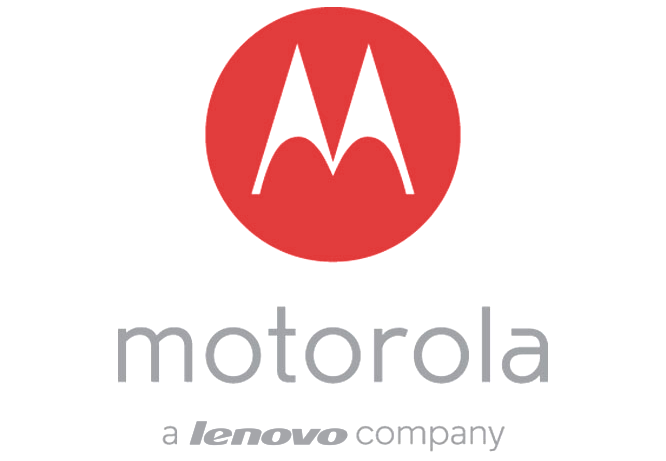 New details have been reported by Phandroid, and while we can't confirm them, they seem like natural extensions of Motorola's current market direction. 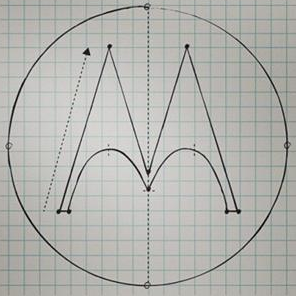 Notably, the DROID Turbo 2 will reportedly get at least some of the same Moto Maker customization options that have been slowly expanding from the Moto X to other devices. 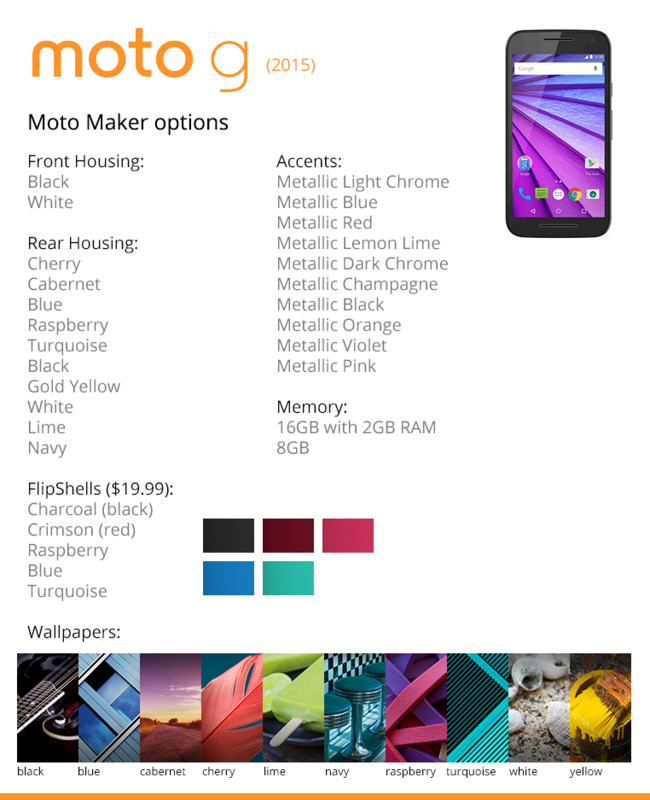 The exact nature of the Moto Maker customizations aren't mentioned, though if the design is very similar to the Moto X you can probably expect a lot of the same choices. The new Moto X Pure Edition is live in the US with all the usual customization options you get with Motorola's flagship device. You can play around with all the looks right now and put in your order (starting at $399), but the device won't ship until September 17th, according to Motorola's checkout page. 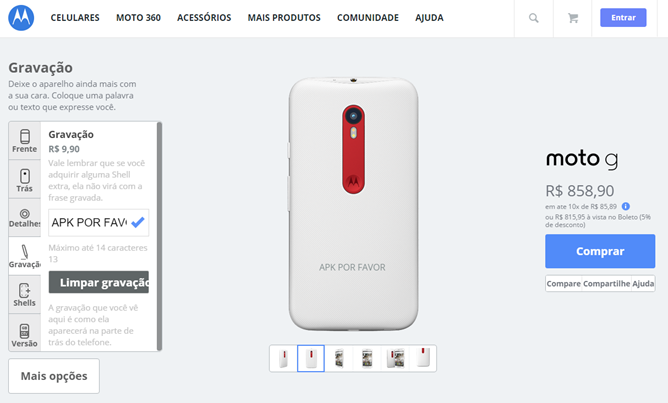 Hey Brazilian readers, that fancy new Moto G is available to purchase right now. Go to Motorola.com.br if you want one - it's 849 Reais for the base model. But why get the base model, when for the first time you have access to the Moto Maker cusotmization website? 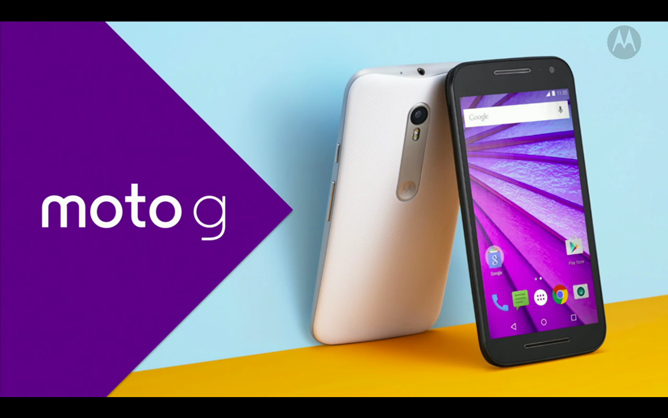 Motorola announced the expansion to Brazil on stage, and it looks like it's already live for the new Moto G. Go check it out. 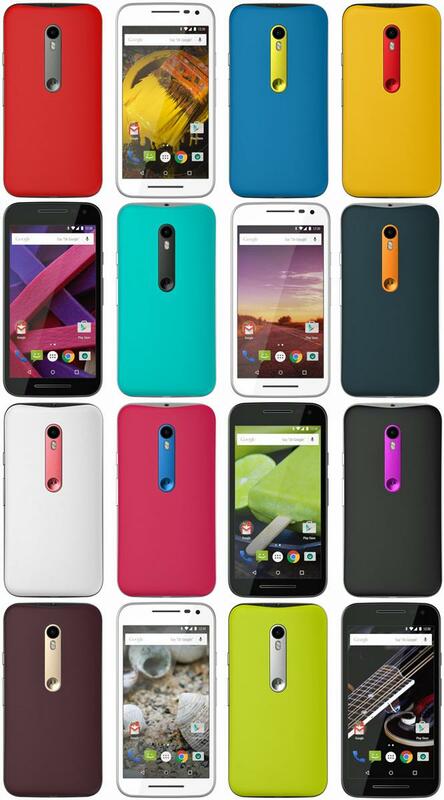 At the time of writing the Moto G 2015 is available with a white or black glass front, ten different textured plastic back colors, ten complimentary accent colors for the metal camera piece (oddly the metal side has to stay grey), and an extra rear engraving available for an extra ten Reais. 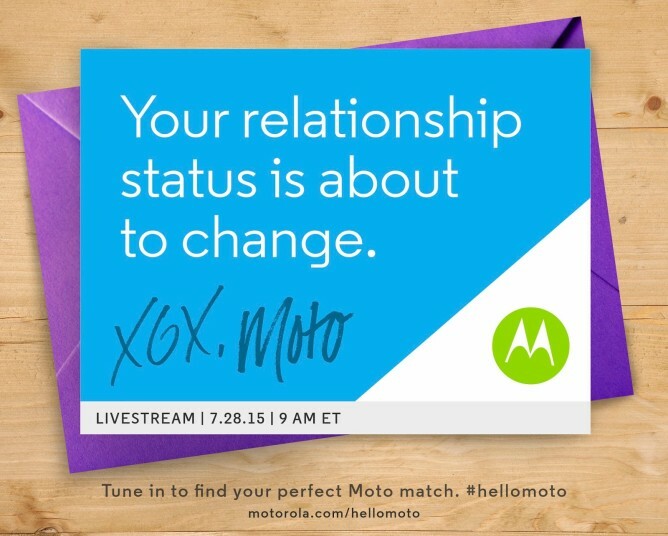 Motorola's press event is underway, but various portions of the company have already revealed the star of the show: the new Moto G. The 2015 version of Moto's mid-range device is a mix of old and new, keeping some of the more affordable portions of the phone intact while upgrading some of the most important elements. Specifically, the 2015 Moto G offers optional extra RAM and storage and improves its predecessor's lackluster camera to a 13-megapixel model. Here's the breakdown: the phone keeps the 5-inch 720p screen from the 2014 version, but upgrades the internals with a Snapdragon 410 processor from Qualcomm and a 13MP rear camera (5MP on the front), the same camera as the Nexus 6, plus a color-balancing flash. 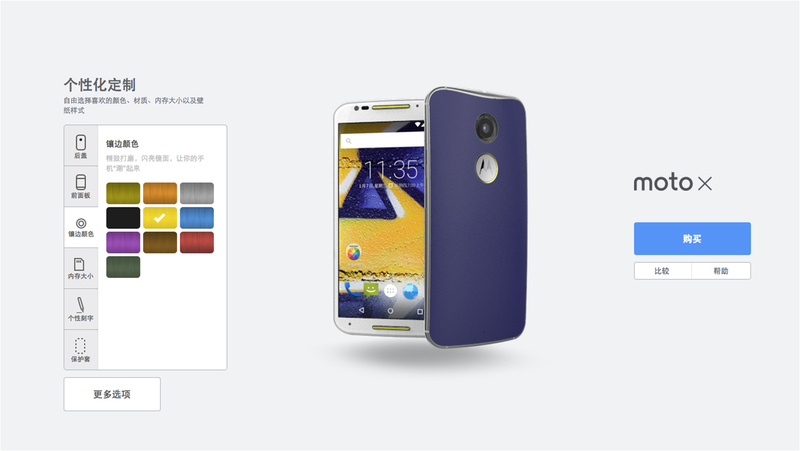 The original Moto X was launched with Moto Maker customization options, and the second iteration expanded the selection of materials. Through it all the modest Moto G has been mostly left out of the fun, but a leak from Evan "@evleaks" Blass points to possible Moto Maker support for the upcoming Moto G refresh. 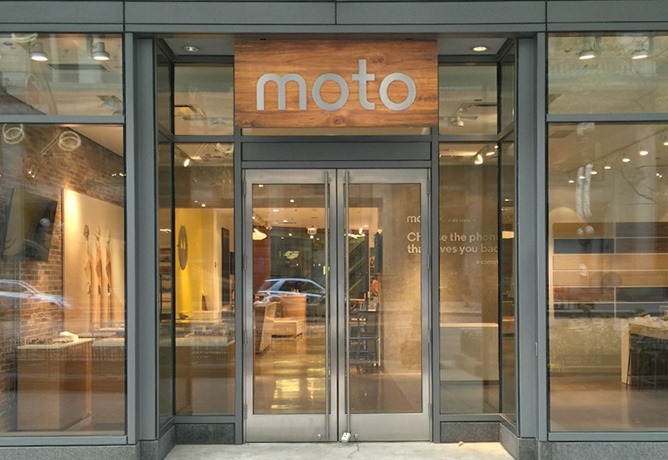 Lenovo's brand new "Lenovo Tech World" event kicked off in Beijing today with some good news for would-be Moto makers in China - Moto Maker, Motorola's customization tool for the Moto X is opening up shop. Customers in China will have access to all the same options current Moto Maker users enjoy - front and back color, accents, materials, and optional laser etching. 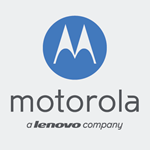 For now, Moto Maker is limited to the Moto X, but Lenovorola is offering promotional prices until June 2nd on the X, G, and the Nexus 6's cousin the Moto X Pro. 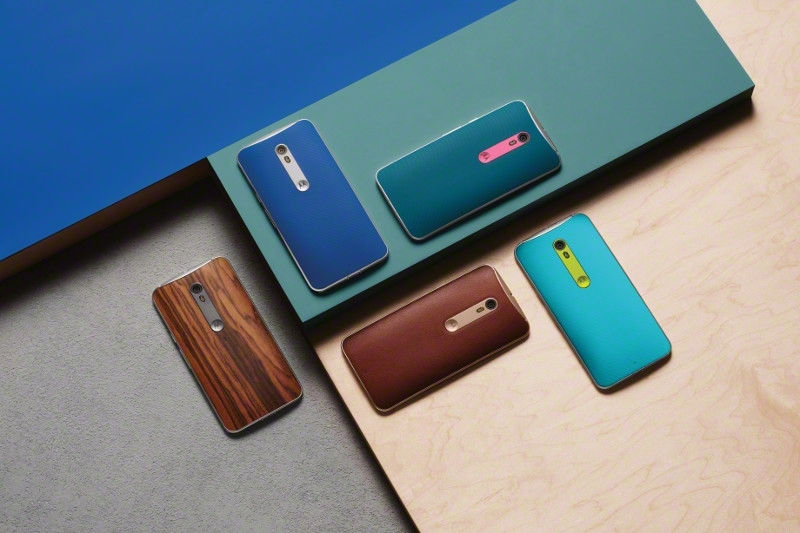 The Moto X will be available for RMB2,699 (with customized versions starting at RMB2,799), the Moto G from RMB999, and the X Pro from RMB3,999.